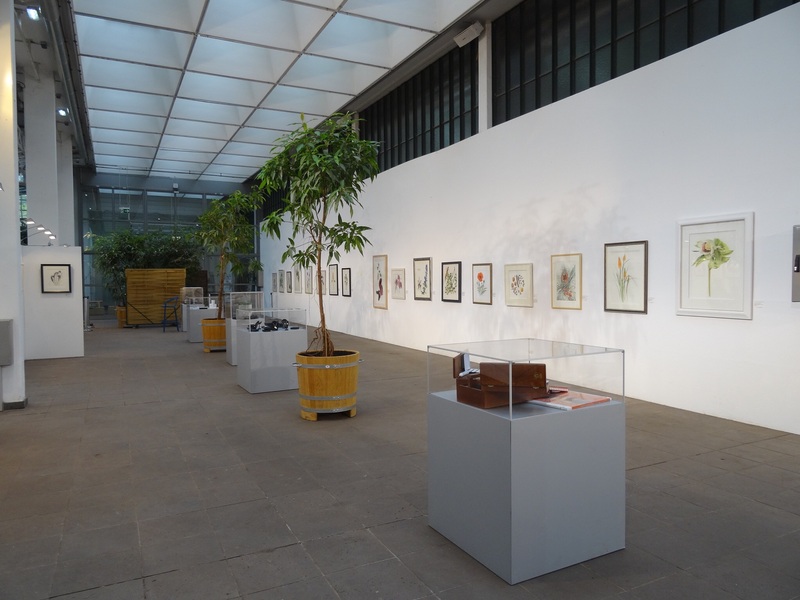 It has apparently been a good day at the botanical art exhibition in the botanical gardens of Frankfurt, Palmengarten. They have had quite a few visitors there, interested in both the beautiful gardens and the exhibition. But tomorrow Sue Henon who is manning the exhibition there will have her life made even more complicated. Apparently there is to be a week long strike of the railways, starting in the evening. This means that she is now in search of somewhere to stay for the rest of the week as there is no other way in which she can get home tomorrow night and back again to the exhibition. But as she quite rightly says, her problem is no different to everyone else’s who travels into the city by train. As a fellow member of the SBA I am hugely grateful to her for what she is doing for the society and for me as an individual; I too have some paintings in the exhibition. Today I have been putting together some designs for new cards and downloading assignments ready to start marking after I have finished teaching my weekly class tomorrow (today actually!). Unfortunately the trip to Germany has left me a little behind with that work. As botanical art tutor for the London College of Art (LAC) I am really pleased to see that there seems to be an increase in interest for learning to paint botanically. More pictures from the exhibition. Some of the artwork looks as though it isn’t hanging straight in the photos. But unfortunately it was me not hanging straight when I took the pictures! The long wall in the Palm house and vitrines down the centre containing the prizes mentioned on the SBA facebook page, jewellary by Lesley Hall and Glassware by Jacqueline Allwood. A total of 26 pictures now have red dots on them. What do the red dots indicate? Sold pieces? So many beautiful paintings. Wish I could be there in person, but your blog offers the next best thing. Hei Jill, the red dots indicate pictures sold. But what I didn’t know is that green dots mean the picture is reserved. I.e. Someone is interested and they have been given the first right to buy within a certain period of time – normally within a 24-48 hour period. If no decision is made to buy, then the picture is on sale again. I’m glad that you are enjoying the blog and seeing pictures displayed in the exhibition. Unfortunately many of the artists can’t get there either, so this as you say is the next best thing.